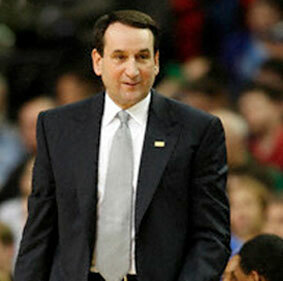 After Duke beat Michigan State 81-61 to advance to the national championship game, Mike Krzyzewski talked about how special it is to play in the title game and how this team is deserving of a chance to play for the championship. 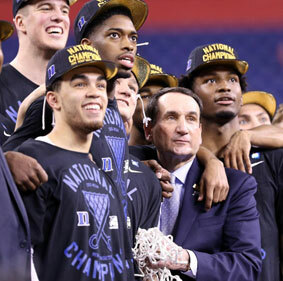 Two star freshmen, a solid senior and some of the trademark defense Duke has long been known for have the Blue Devils back in the national championship game. And in Indianapolis, no less. 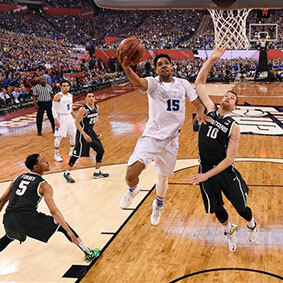 Justise Winslow scored 19 points, fellow freshman Jahlil Okafor added 18, and senior Quinn Cook had 17 to lead top-seeded Duke to an 81-61 victory over Michigan State on Saturday and into yet another title game in the city known for a 500-mile auto race. It’s not every day you get to hear what really happens on the court — as the final seconds tick down to a NCAA national championship. But that’s exactly what happened to me on Friday when I had a chance to chat with Duke legend Jay Williams — about his personal experience in the 2001 championship game against Arizona. 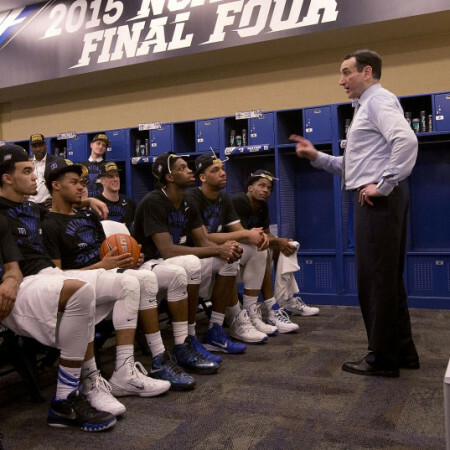 Following his team’s 66-52 Elite 8 victory over Gonzaga, Mike Krzyzewski gets a little emotional as he talks about how much of a joy his team was to work with all season long, and what a treat it is to get to go to the Final Four with them.